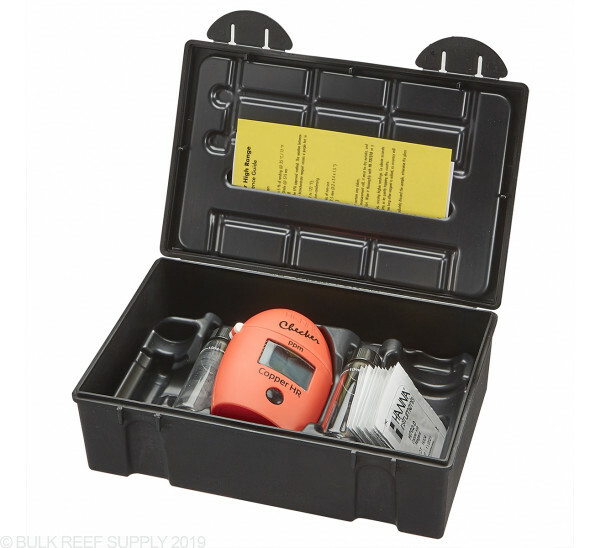 Compatible with fresh or saltwater! 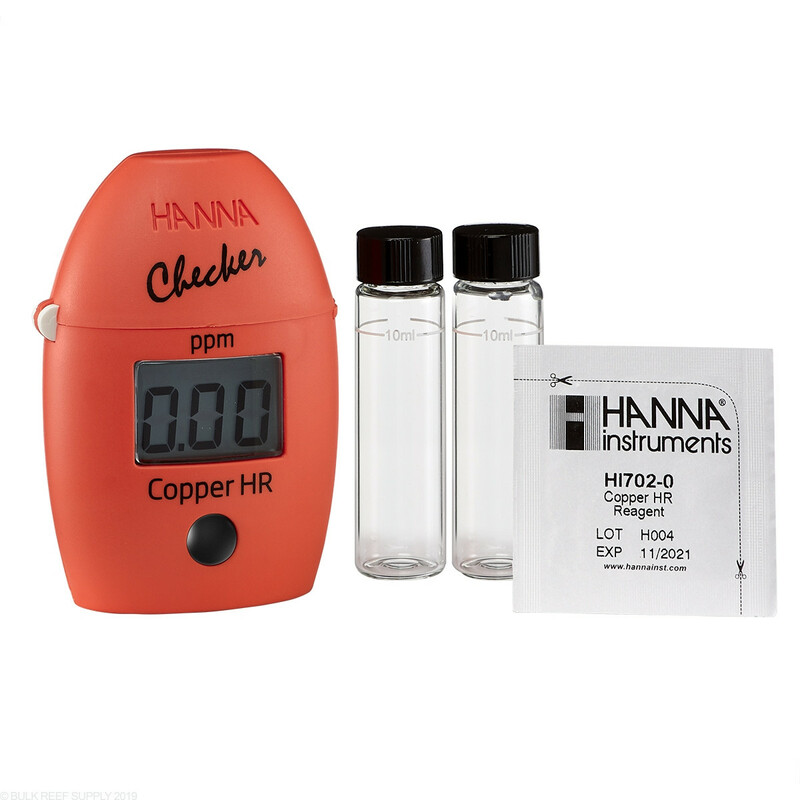 No longer do you need to read color charts, trust Hanna's HI702 Copper Checker to know the precise amount of copper in your aquarium water. 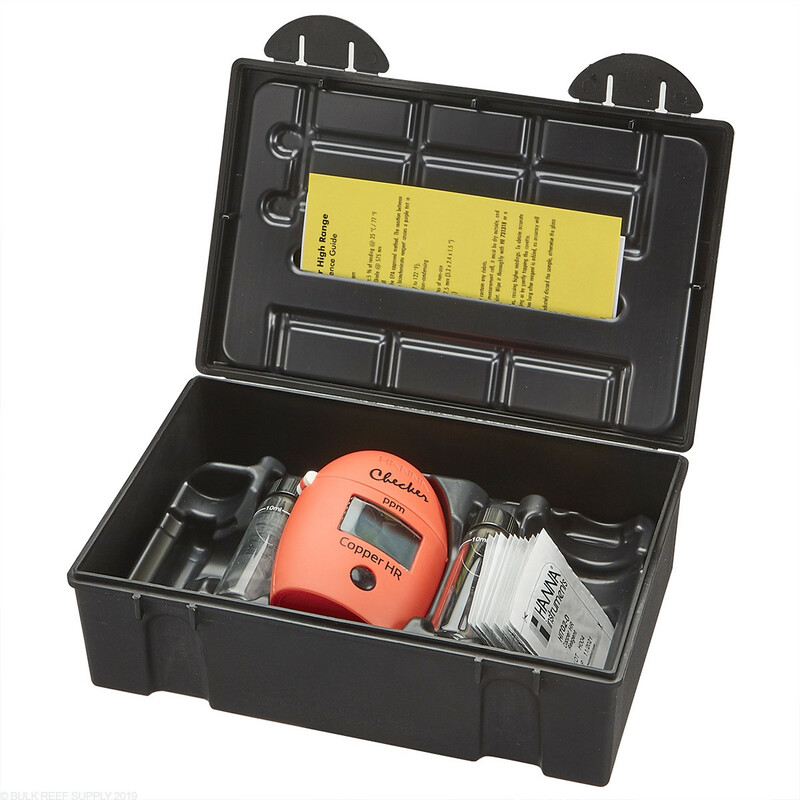 The High Range Colorimeter gives greater precision over previous models and gives you a digital reading on a large LCD display. 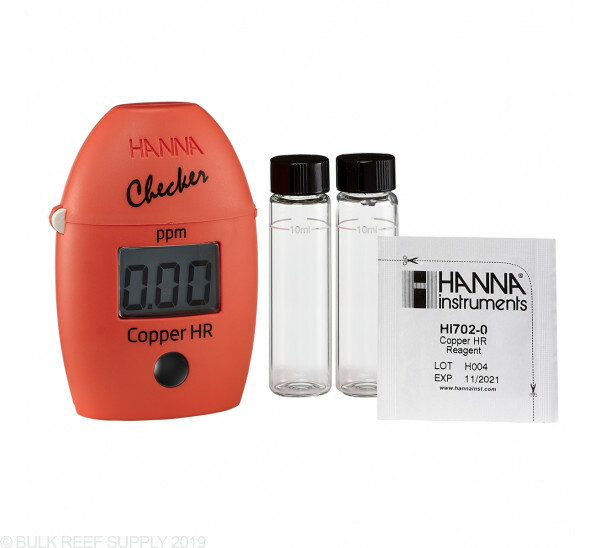 Copper is generally used in saltwater aquariums to help treat for common pests and diseases that may plague fish and is entirely safe at certain levels and having a high-quality testing solution is very important. 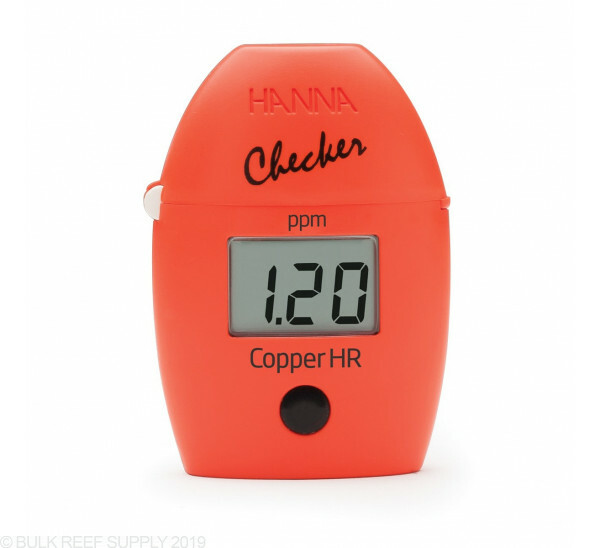 The Hanna HI702 will let you monitor your aquariums total copper levels as you increase and decrease, to treat any issues you fish may encounter. 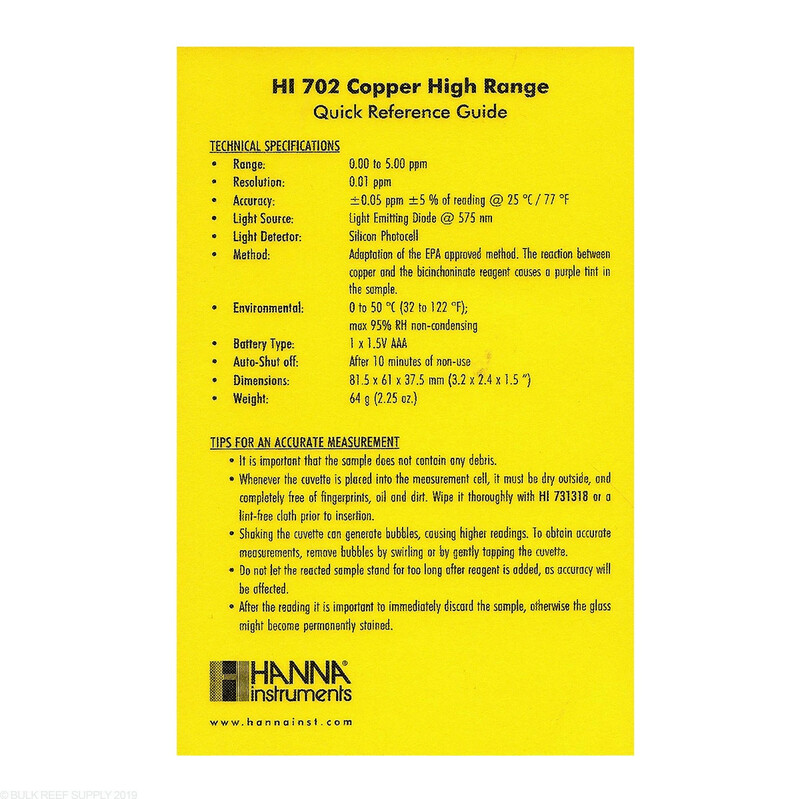 Dimensions - 3.2" x 2.4" x 1.5"
Hanna effectively eliminates the guess work with color scale matching. 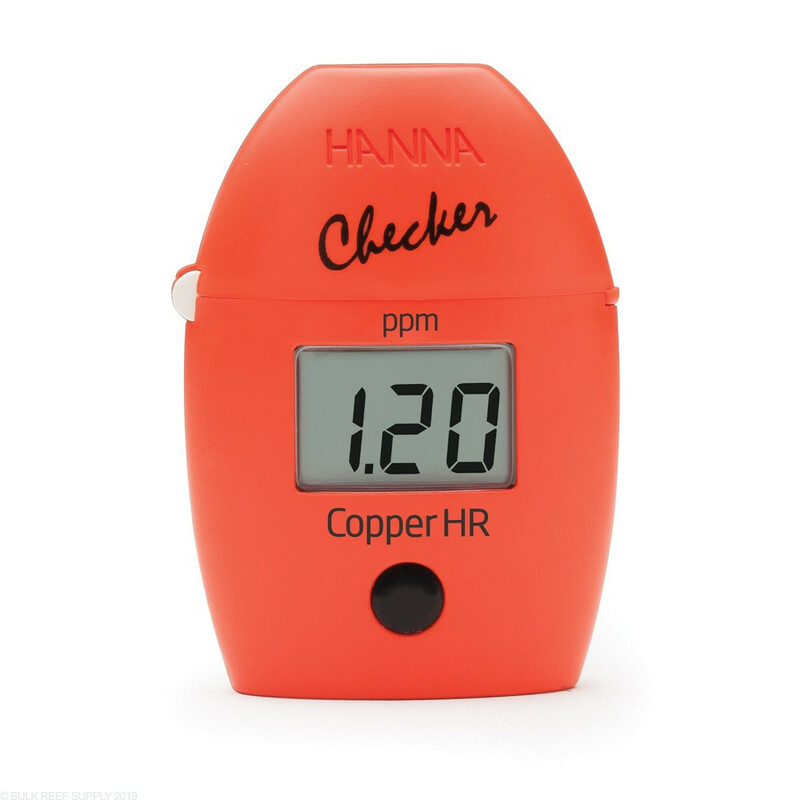 Their copper test is simple, easy and accurate. I'd go 5 stars, but they only include 6 reagents in the new purchase. 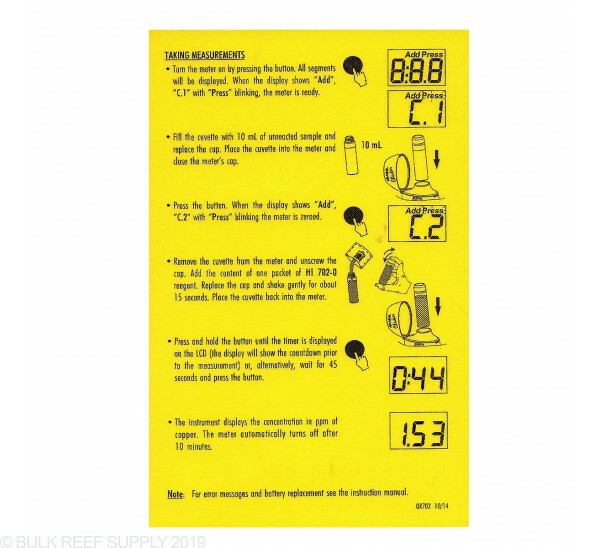 BRS DOES indicate only 6, but I didn't see that and neglected to order more with the initial purchase... 6? Really? 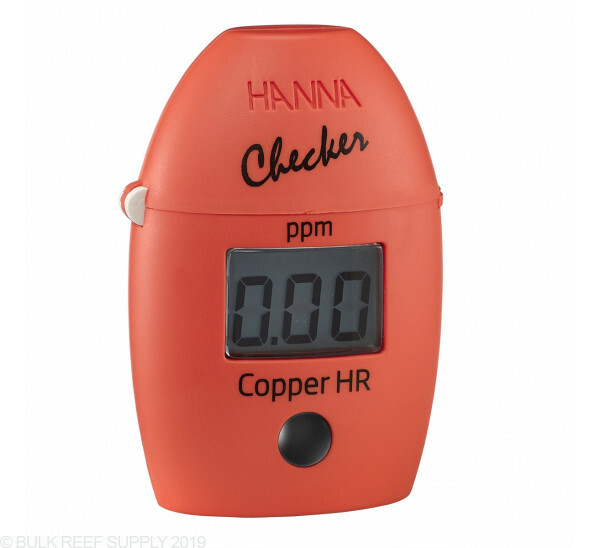 This meter seems to read dead on as expected for chelated copper which is my choice of copper. Don't bother with the old color slider tests for copper, definitely use this instead. 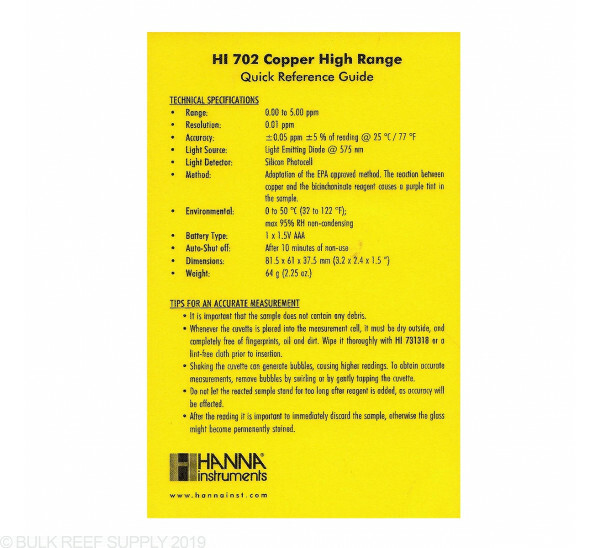 Yes it works with Cupramine, but take caution with other copper medications that may be chelated as they may not be accurately tested by the HI702. I do wish it were more precise, the error is ±0.05ppm and ±5% of reading, so a reading of, say 0.30ppm could be anywhere between 0.24 - 0.37ppm. If you're quarantining fish, you must have one of these! 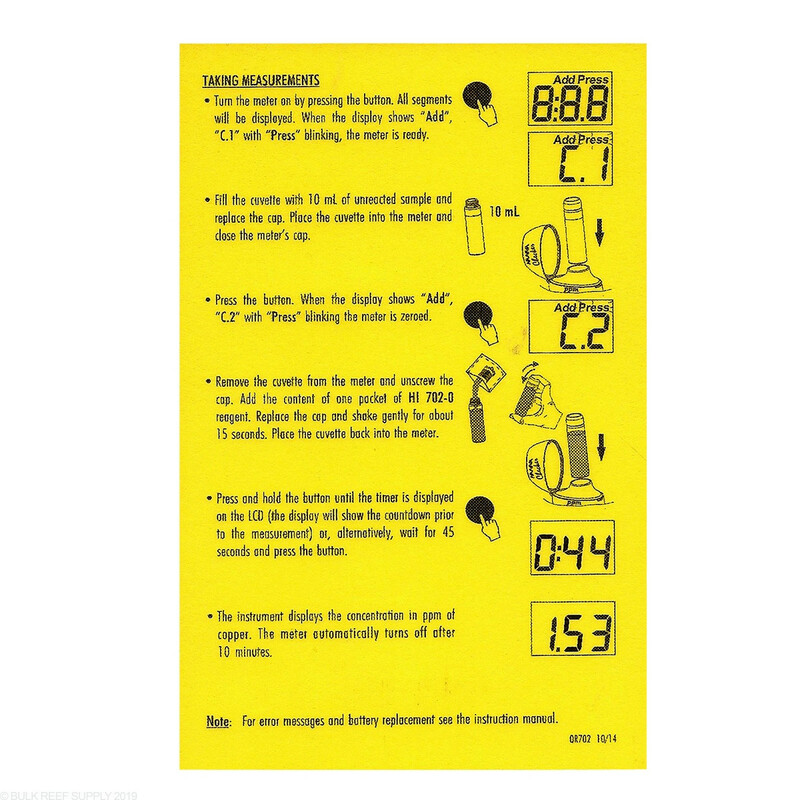 I've always liked the thought of QT'ing, but hated trying to measure copper levels. This takes the guess work out of the copper levels in the water in just a few simple steps. Now I have more confidence in my QT practices thanks to this checker. Throw away your other copper tests. Gone are the days of squinting at shades of blue and guessing how close you are. 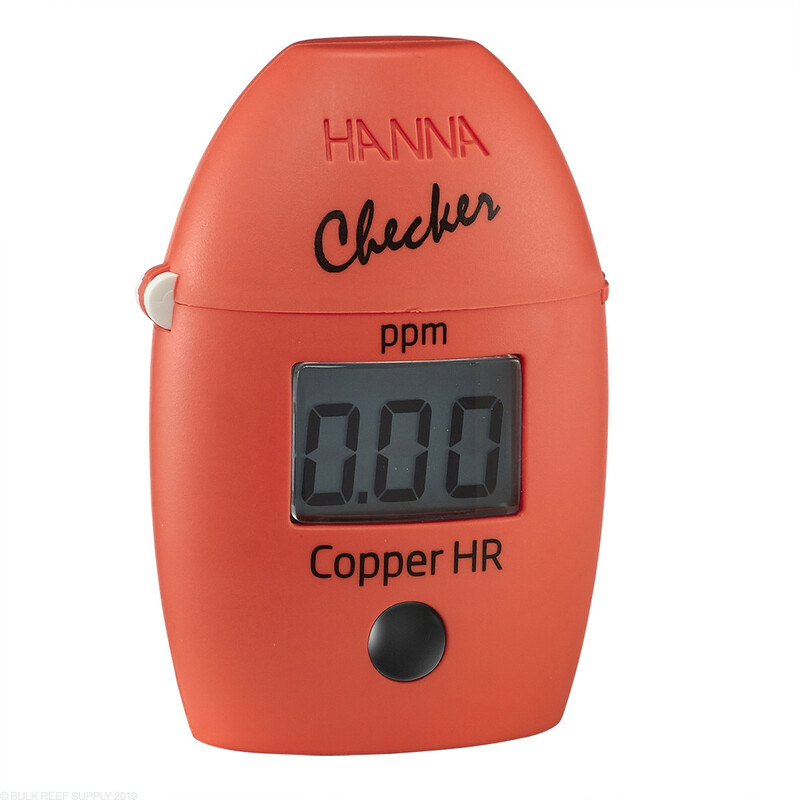 This is a must for anyone dosing copper medications. I’ve been using one for about 3 weeks and I’ll never go back. It’s quick, easy and accurate. The first time I used it I realized my cupramine level was 25% lower than I thought. I’d have to put this above the Hana phosphorous check in terms of how much of an impact it will have. What would range should your copper be in a qt tank?